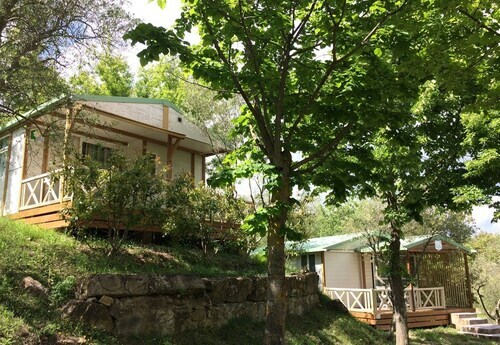 Situated in a rural location, this campground is 0.1 mi (0.1 km) from Val di Merse and 4.1 mi (6.7 km) from Castello di Montepescini. Museo della Mezzadria and Museum of Sacred Art in Val d’Arbia are also within 16 mi (25 km). What do mornings in Castelnuovo dell'Abate look like when you’re on vacation? Quite rosy if you’ve reserved a spot at an RV park. Wave to the traveler occupying the lot next to yours, and pat yourself on the back for embarking on this adventure. Vacationing at an RV resort gives you a chance to combine two things you know you’ll adore: driving on the open road and spending some quality time relaxing in Castelnuovo dell'Abate. Whether you have your own trailer or will be renting one for the experience, RV parks and campgrounds offer a relaxing getaway from the hustle and bustle of daily life. Not only will you get to tour scenic stretches of highway near Castelnuovo dell'Abate, but you have all the things to make your home away from home feel cozy and inviting. Most trailer park rentals in Castelnuovo dell'Abate have essential hookups for water, electricity, and your sewage needs, but there are also luxury campervan parks that go above and beyond the call of duty. Picture yourself taking part in communal movie nights under the stars, roasting marshmallows over cheerful bonfires, and watching the sun go down from the comfort of your trailer’s lot in Castelnuovo dell'Abate. There’s a reason why many people choose to forego traditional houses and decide to live in an RV instead—because you have the freedom to explore, while still having access to all the comforts you’re used to. Ready to hop in the driver’s seat and shift gears toward adventure? Reserve one of many RV resorts today on Travelocity. Find the location that’s right for you in Castelnuovo dell'Abate, and still have money left over to check out the tastiest restaurants in town. 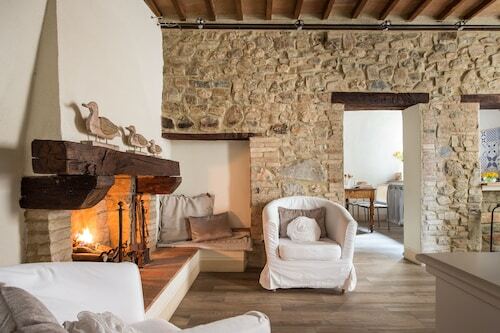 Situated by the ocean, this historic vacation home is 0.3 mi (0.5 km) from Abbazia di Sant'Antimo and within 6 mi (10 km) of Museum of Brunello and Fortress of Montalcino. Civic and Diocesan Museum of Sacred Art of Montalcino and Poggio Antico are also within 9 mi (15 km). 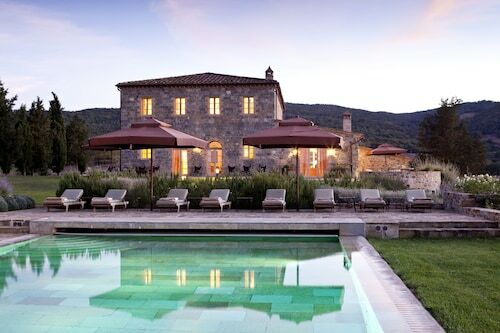 Situated in Montalcino, this vacation home is close to Abbazia di Sant'Antimo, Museum of Brunello, and Poggio Antico. Area attractions also include Fortress of Montalcino and Civic and Diocesan Museum of Sacred Art of Montalcino. Situated in Pienza, this romantic hotel is steps from Palazzo Piccolomini, Piazza Pio II, and Palazzo Comunale. Pienza Cathedral and Museo Diocesano are also within 5 minutes. 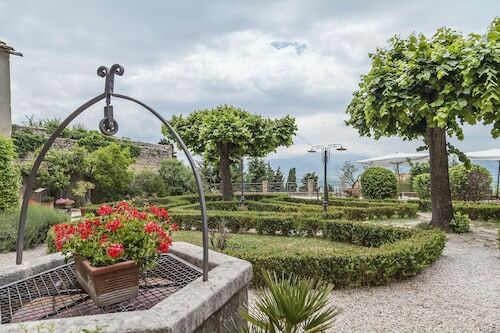 Located in a provincial park, this family-friendly hotel is within 9 mi (15 km) of Val di Merse, Museo della Mezzadria, and Museum of Sacred Art in Val d’Arbia. Civic and Diocesan Museum of Sacred Art of Montalcino and Castello di Montepescini are also within 9 mi (15 km).